The direct presence philosophy I believe is huge because not only do have a better idea what is going on daily, but you are showing people that you are invested on progress/growth of the organization and your people. Great post again! Thanks Jason…I appreciate your readership and your insights! Several years ago I read “Mornings on Horseback” about Teddy’s childhood and youth; when I ended up in NYC with some tour time, I spent 3 hours at his museum. Just recently introduced to Bue Bloods, and enjoying the tension between good and evil portrayed by these actors – television for and by people who have a sense of history. Thanks Jeffery Ton for your post. I’ve been fascinated by the photo of T.R. in CP Reagan’s office and the similarities and wondered if anyone else made the connection. You are right, they have the same physical presence, same philosophy regarding their post and responsibility to clean up NYPD. I recently downloaded the Kindle version of “The Island of Vice: Theodore Roosevelt’s Quest to Clean-Up Sin-Loving New York.” The similarities are obvious, not just coincidental. T.R also shared the same love of family. The only difference I can see is that while T.R. was quite loquacious, CP Frank Reagan is a man of few words, but every word counts. Love the thought-provoking writing of this show! Is there a reason you refer to Frank as CP instead PC???? Tom Selleck aka Teddy Roosevelt ? 😴 Puleez ! 😭 Dress up the show different . He was Magnum P. I . Long ago ! Who did they back him up with then ? The Lone Ranger ? Susan, my apologies for the late reply. Oddly, your comment from July 4 just appeared in my feed today. Thank you for your comments and thank you for reading. I believe the correct title for Teddy Roosevelt was Superintendent not Commissioner even though they are one in the same. My Mother would have loved Blue Bloods, not because of the content, but she worked and retired from 1 POLICE PLAZA, and she many Commissioners in her tenure. Karen, thank you so much. You are correct. I did not realize it until you pointed it out. I also learned that it was Roosevelt as governor that changed the name from Superintendent to Commissioner. This is one of the reasons I blog…I learn so much! Thank you again and thank you for reading. I wish our politicians would take advice from Teddy Roosevelt and come out of their Washington D.C, bubble and find out what’s really going on. That’s all politicians and not just seeing their constituents when they want a vote. I love Blue Bloods and I am glad to find this website while trying to find out who the picture was on Reagan’s wall. I could not agree more, Rita. Thank you for your kind words regarding Rivers of Thought. 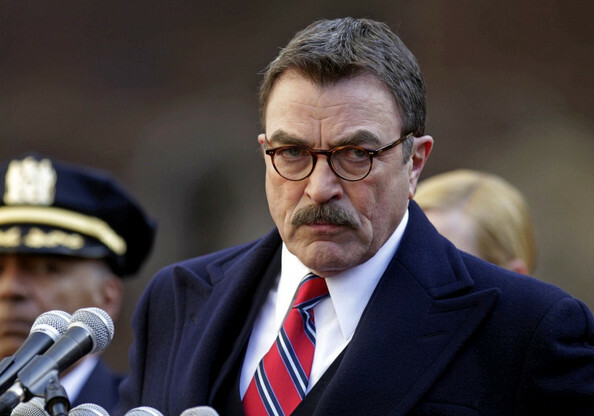 I cannot answer for the screenwriters of the show, but as a Theodore Roosevelt historical researcher, I can tell you that as I watched Blue Bloods every week, I am reminded of how much Frank Reagan truly is an accurate portrayal of a Modern Theodore Roosevelt. In real life, Theodore Roosevelt was more impressive as NYPD Commissioner, as the NYPD in his day had a problem with beat cops being corrupt and on the take to the highest bidder. Theodore Roosevelt changed that as he became commissioner. Instead of getting comfortable behind the desk of his office and ruling with an iron rod from afar, TR stalked the streets of all hours of the day & night to catch his men in the acts of breaking of upholding the law so that in each case he witnessed, the cop was either disciplined immediately or positively reinforced immediately. Ultimately, TR is the reason why the NYPD has an international reputation as upholders of the law. Because over 120 years ago, Theodore Roosevelt’s example is still upheld across the department. Thank you very much for reading and commenting on the post. I appreciate your insights. Roosevelt has, indeed, become a guide into leadership for me. I learn new lessons everyday! Was everything I was looking for and more. Thanks for the information! Does anyone know anything about Franks desk? who built it? I do not have any information on the desk. 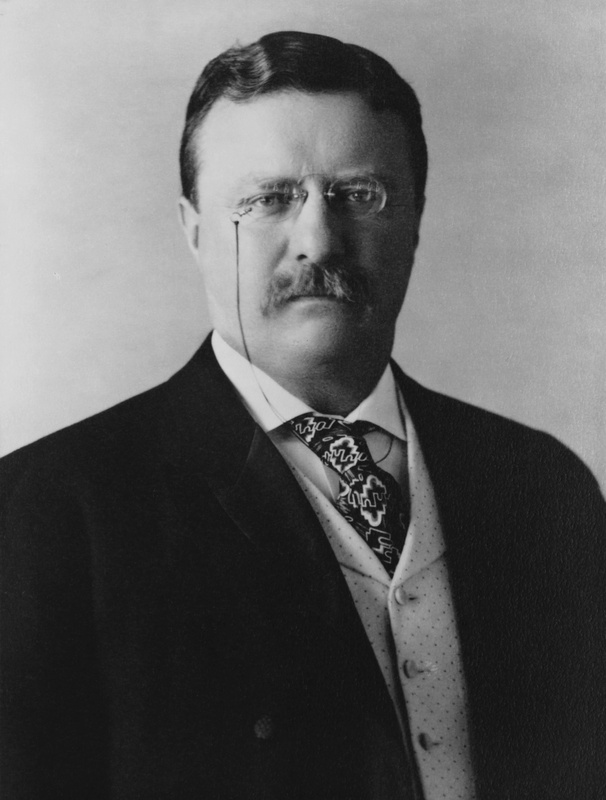 I googled Teddy Roosevelt and Tom Selleck after noticing the grand resemblance they shared from the point in the episode where Tom is standing infront of a large photo of Teddy…uncanny. I had to google to see if they have family tieds…curious as a cat. Lol. Thank you for reading! Just curious, did you just read the Blue Bloods post, or did you read the whole #RooseveltRiver series?